This is an early and large flowering variety of dwarf Cosmos. Plants flower in white from June/July all the way to October. The plants are a compact 50cm in height, about half the typical size of Cosmos. 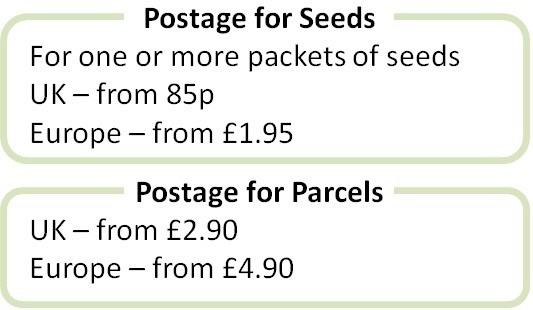 They are great for containers, bedding and filling gaps in the border. Flowering continues to the first frosts with deadheading. These make good cut flowers. 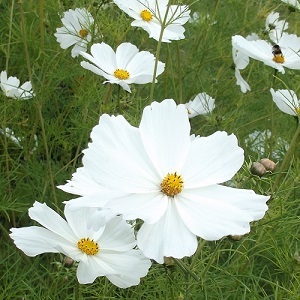 Cosmos ‘Royal Dwarf White’ grows best in full sun and moist well drained soil.